More and more, L.A.-based podcasts are breaking out of the garage and staging live tapings. Join the audience for a peek at how the shows get made, and you may hear your chuckle on a future episode. At this bi-monthly show, raconteurs share true tales of how science impacts their (and our) lives at the Lyric Hyperion Theatre & Café. Each taping offers a variety of perspectives on the intersection, from a Burning Man-loving physics prof to a trans comedian recalling the horrors of puberty. 2106 Hyperion Ave., Silver Lake, storycollider.org. at Angel City Brewery. 216 S. Alameda St., downtown, gofactyourpod.com. 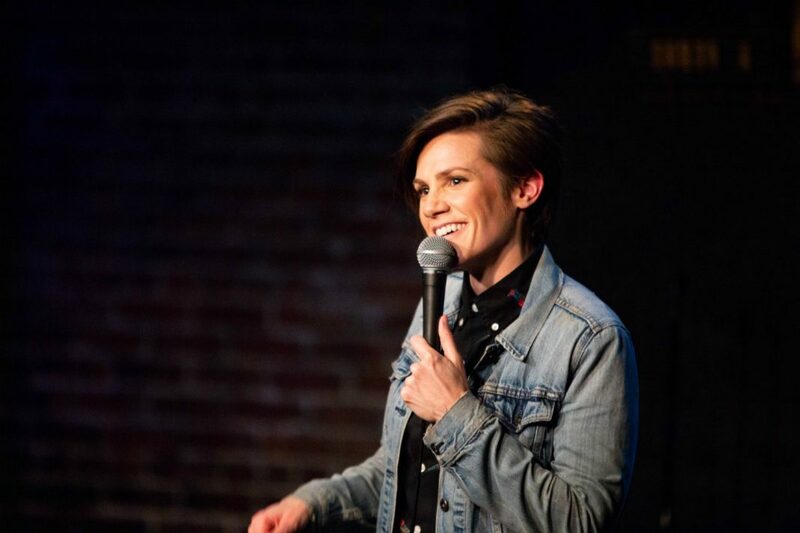 Power couple Cameron Esposito and Rhea Butcher cohost this Tuesday night showcase-slash-podcast at Upright Citizens Brigade. Comics like Jonah Ray and Jen Kirkman perform sets then sit down for talk-show-style interviews. 5919 Franklin Ave., Hollywood Hills, facebook.com/pyhtshow. If Glee and SNL had a baby, it might look something like this. Musical theater and sketch comedy intertwine when hosts Jessica McKenna and Zach Reino (plus funny guests) improvise an original musical before your eyes at the Hayworth Theatre. Scope Twitter for taping dates. 2511 Wilshire Blvd., Westlake, twitter.com/offbookpod.